The sight of flowering trees in a yard can brighten up any neighborhood and add plenty of curb appeal. 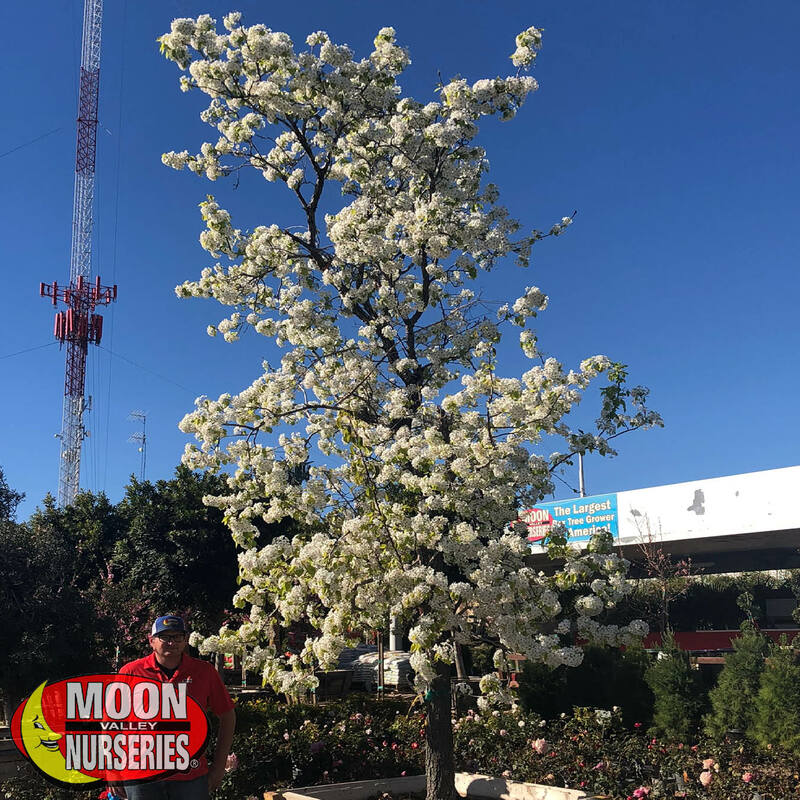 Flowering trees come in all sizes, fit in any landscape styles, create allure to your yard, and will most likely fill the air with a sweet fragrance during blooming season. Spring is here, and the colors are about to start changing all over the place - if they haven’t already! You can even create an explosion of colors by mixing several blooming trees in your landscape or create a uniformed look by planting rows of the same, or similar color, flowering tree. Spring is also the time when our yards are getting more visitors! Hummingbirds and butterflies are out exploring the world and enjoying the warm weather just like we do at the beginning of spring! Below is a list of our top flowering trees for this Spring season. Come visit the nursery to see these trees for yourself and the many other flowering options we have in our nurseries. With our natural landscape cascaded in mountain and desert color shades, the pop of red that comes from the Lemon Bottlebrush tree makes any yard more interesting! 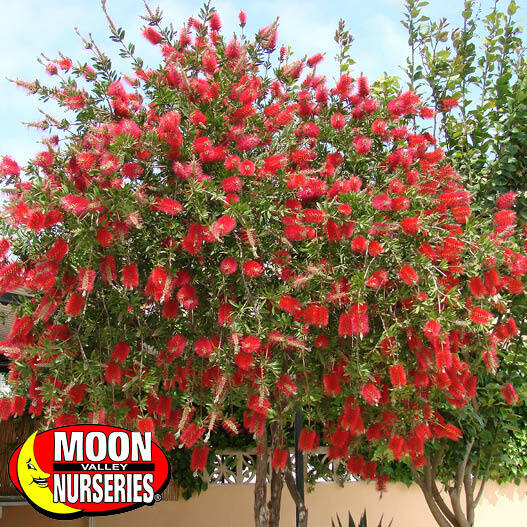 They bloom showy bottle brush-like flower spikes that will paint a landscape with colors of bright red from the flowers and dark green from the foliage. The Bottlebrush blooms in spring with some off-season blooms in the fall. The Bottlebrush not only adds a splash of color to our desert environment, they attract hummingbirds and butterflies, too. These evergreen shrubs are a great way to create a colorful privacy screen when several are lined up in rows along a landscape border. The name of this tree leaves no surprises as to the amazing features it offers in a landscape. The sun-loving Flowering Pear tree is known for its early spring bloom season. By the beginning of spring, this tree will start to produce showy white flowers and lustrous foliage. The foliage grows in a unique oval shape that turns from glossy dark green to rich maroon in the fall. The leaves and flowers make for a fun color show all year-round with flowers booming in the spring time and leaves changing in the fall. Considered to be the first blooming tree of the year, the deciduous Flowering Pear tree is an excellent lawn tree. We like to plant them with shrub roses to create a stunning display of landscape color. 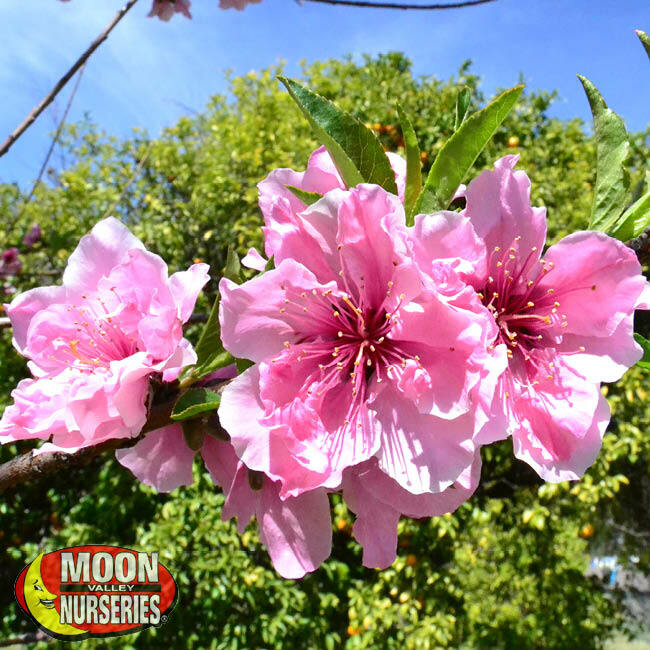 Stone fruit trees can produce some of the loveliest flowers and are excellent landscape trees for privacy screens or for merely adding beauty to your landscape. 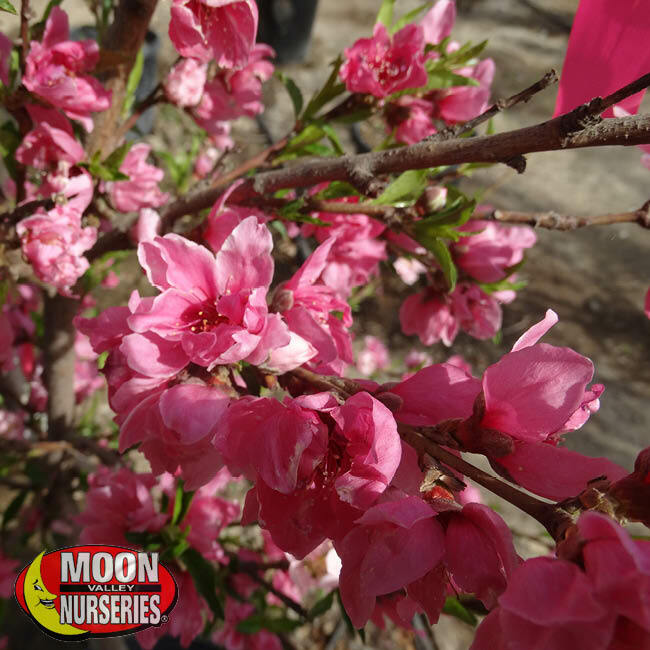 Moon Valley Nurseries sells low-chill variety stone fruit trees that have great fruit production in our climate. Below are some of our recommended stone fruit trees for our area. These peach trees love to grow in the Phoenix area! They can bloom showy, light pink flower bouquets before bearing mouth-watering, juicy fruit! In addition to the tasty fruit and their beautiful flowers, we also like to use them to create a screen that can block unwanted views. These low-chill fruit trees are easy to grow and can enhance the look of any landscape, with or without fruit! Plum trees are self-fruitful and have a stunning show of white flowers. These flowers will create an extra allure to your trees while they are blooming in the months of spring. Plant them in full sun and watch this tree flourish in fruit and flowers for years. These easy-to-grow trees can bloom a lovely sight of light pink flowers, creating a lovely backyard scene through the spring season. 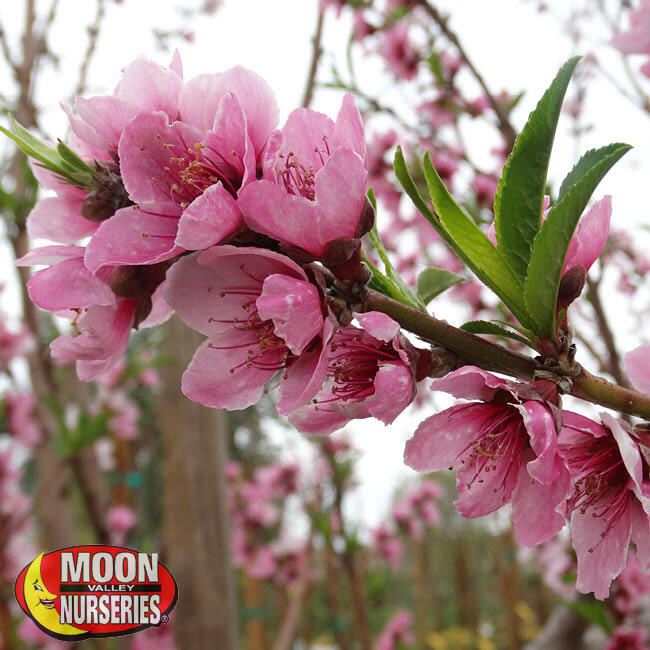 Nectarine trees are small deciduous trees that are ideally suited for growing in a small yard or patio garden. Their smaller size also makes them ideal for group and row planting in larger yards. Moon Valley Nurseries make it easy to add vibrant color and value to your yard. We not only offer custom-grown trees, but we also guarantee every tree we plant for you. To make things even better, we provide free professional planting on all specimen sized trees! For the best trees on Earth, Go Straight to the Moon!